The German tuners are back with another project based on the twin-turbo diesel A6. MTM has been busy preparing aftermarket programs for the KTM X-Bow and the McLaren MP4-12C, however it was only a matter of time until the Bavarians got back to what they do best - creating powerful and stylish Audis. 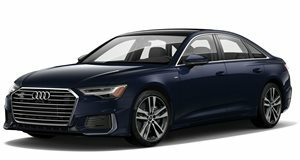 Their latest project is based on the 3.0-liter biturbo diesel-powered Audi A6. Two power levels are being offered by MTM for the 3.0 BiTDI, the first featuring an ECU revamp and stoking the engine&apos;s output up from 309 horsepower and 480lb-ft of torque to 365 and 560, respectively. The first stage prices at €1,700 and for an additional €100, MTM says a further reprogramming of the ECU tweaks output up to 381hp and 575lb-ft. MTM has also made available two sets of aftermarket brakes to handle all of that added power. Smaller 380x34mm brake discs with 8-piston calipers will set you back €4,900 while bigger 405x26mm discs cost €6,400 and require wheels of at least 20-inches. The Germans offer alloys from 18- to 20-inches, each available for an additional fee. For those Audi owners who crave even more customization, MTM is offering an F-Cantronic ECU for the sporty hatch&apos;s air suspension system. The system commands a further €1,740 and allows the front-end to be lowered by as much as 25mm and 20mm at the back. Check out the MTM power boost for the torque-happy Audi A6 3.0 BiTDI in the photos below.